Boy, there were a LOT of DC Comics that came out this week! I was almost buried under an avalanche of potential covers to pick from. Uh, a digital avalanche, that is. I don't see printed copies until they're on the shelf Wednesday. But I can still judge books by their digital covers, and I have! Right here! Anytime you can draw Animal-Vegetable-Mineral Man and make him look threatening, I'm gonna notice. 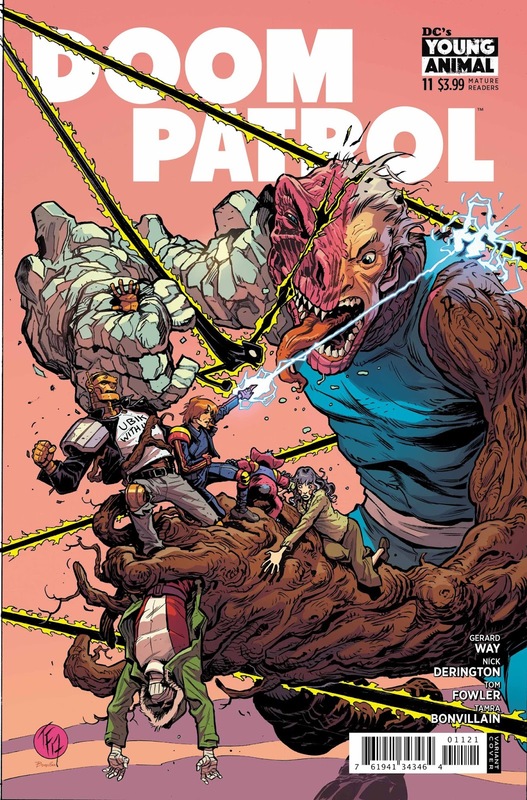 If this cover had any kind of background to speak of, it might have made the proper list. A year ago, I'd written John Romita Jr. off entirely. But since he's been on The Silencer, I've really appreciated the work. His compositions were always good, it was just the awful faces that bothered me most. And since these characters don't have faces to speak of, everything looks just splendidly tense. Good ol' dependable Jenny Frisson. 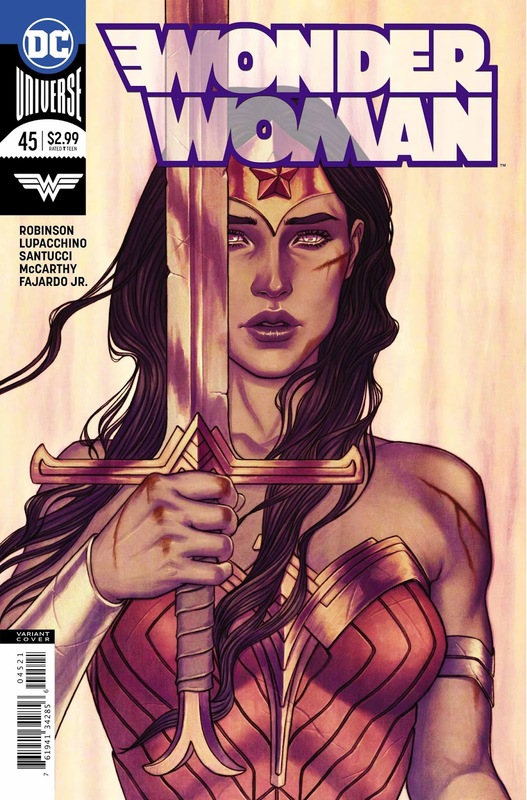 You know she's always going to deliver the goods when Wonder Woman is on the racks. Here we've got a somewhat sad-looking Diana, posing like royalty on a playing card. DC really should do a book compiling all of Frison's variant covers for this series. For Superman's 80th birthday, we've got Superman-themed variant covers. And here is...a rather disturbing one. 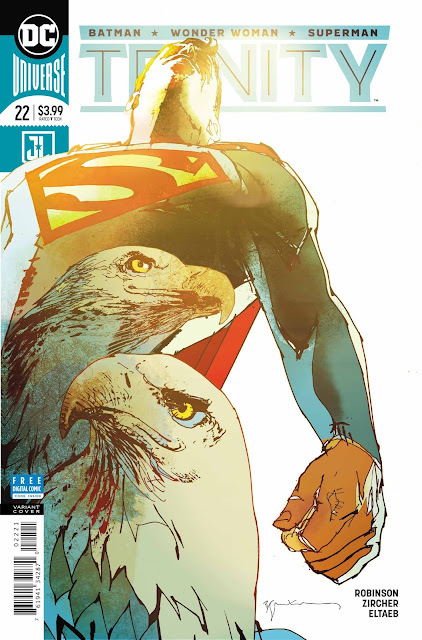 I understand why good ol' American Superman would be hanging out with eagles, but why does that one in the foreground have blood on its neck? Did they all go marsupial-hunting together? Ooh! 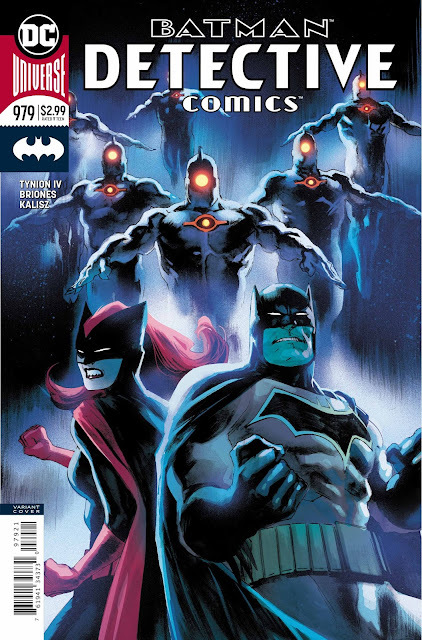 Batman and Batwoman back-to-back! Brother Eye OMAC's descending all around them! 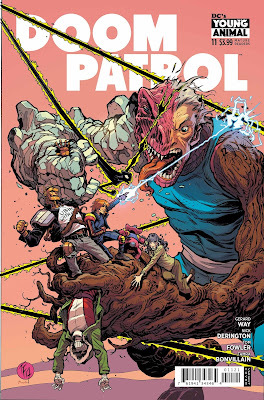 I certainly want to know what happens next, and that makes this one successful cover. Albuquerque being an incredible artist also helps sell the thing. Something about this cover is so haunting. 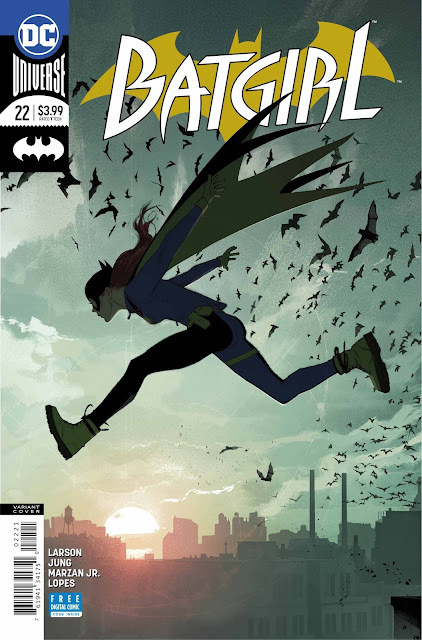 The realistic look of Gotham City at dawn and the shaded coloring of Batgirl makes this composition work, but I think the fluttering bats bring the whole thing together. 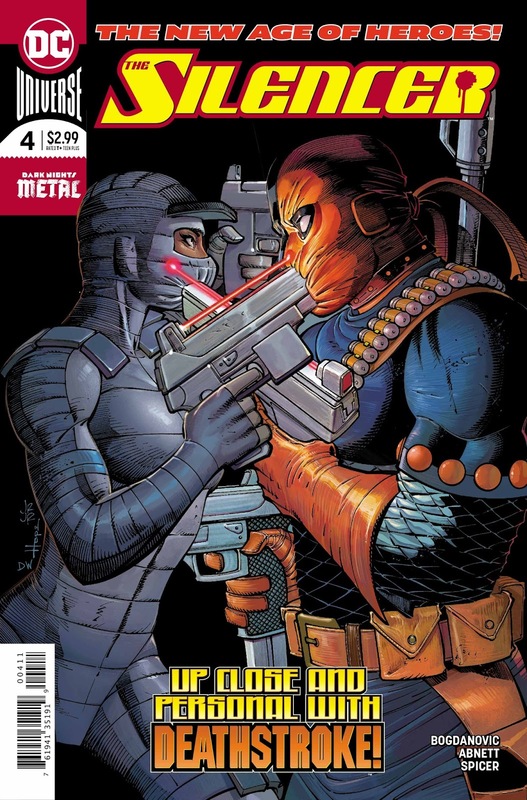 The cover is at once still and dynamic. Nice job.